How can the upstart e-commerce shoe company make real connections with their customer base offline? Upstart men’s shoe company Jack Erwin had a smart online presence and well-designed products, but needed some thoughtful storytelling to bring their brand story to life. Knowing the two founders had New York City roots, Wildsam created a series of retro-inspired walking maps, profiling five iconic NYC neighborhoods: Tribeca, Midtown, Chelsea, Upper East Side, and West Village. Each map highlighted 25 classic businesses, proving that New York City truly is the greatest walking city in the world – ownable territory for their line of business. Wildsam also provided more than 75 digital stories for a digital campaign and kicked off the campaign by leading a “neighborhood walk” from the Jack Erwin flagship through Tribeca, alongside brand ambassadors, friends and customers. How can a brand known for its world-class coolers earn bonafides as a cultural expert and champion? 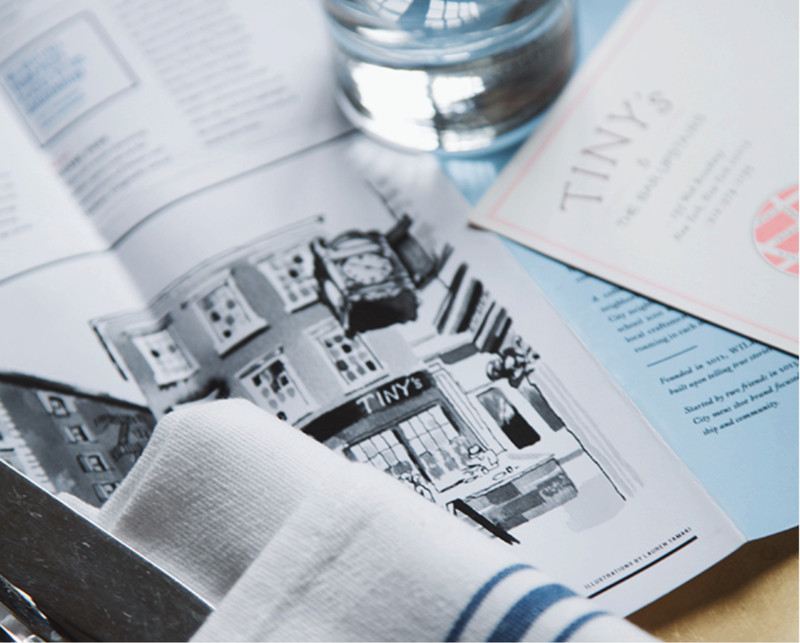 How can an upstart surf brand rethink how to create a compelling print catalog experience? Twin brothers Alex and Mike Faherty launched their namesake clothing brand in the spirit of never-ending summer on the Jersey Shore. From the onset, the company has dedicated themselves to producing clothes with sustainable fabrics through high-integrity manufacturers. At every turn the Faherty’s have looked to retool their industry, from driving a mobile beach house across America, to leading mindfulness sessions and hosting pop-up concerts for their team and customers. 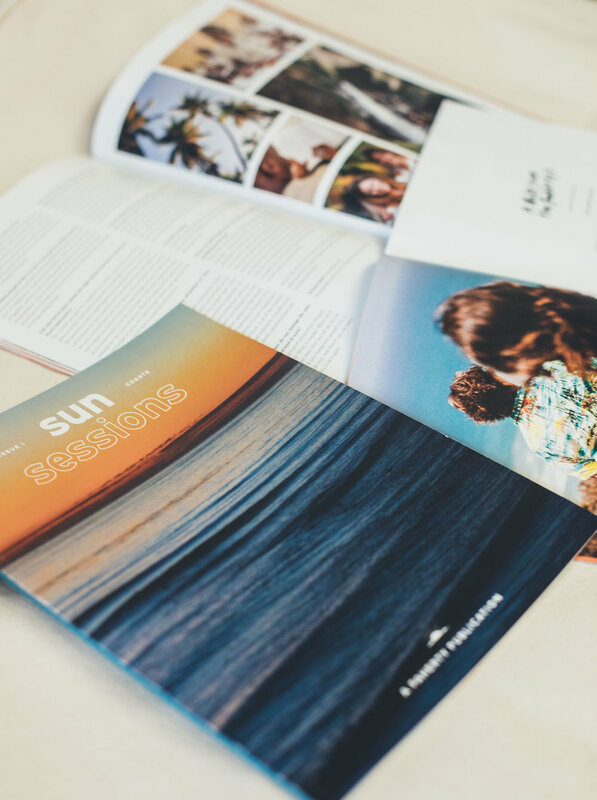 Following that streak of new thinking, Wildsam created a new Faherty biannual, story-centric glossy magazine called “Sun Sessions,” which compliments the brand’s seasonal, product-focused catalogs. Inside each issue are interviews, essays, travel intel, photographs and other inspiring curio from their community.